As stated previously I get pretty lightheaded when I get up from a sitting position after a hard workout, particularly in hot weather. Orthostatic hypotension. I don’t know why I get dehydrated so easily now, but I have learned that I need to eat something salty and drink a lot of water after a workout, particularly a run or a bike ride which is longer than an hour or two, otherwise I get pretty dizzy when I first standup, and I’ve had a friend who is an nephrologist and another friend who is an internist both tell me to make sure I drink plenty of water after a workout and get some salt. Just one more fun aspect of being in persistent atrial fibrillation. This is the first time in my life I’ve ever actually been trying to get more salt. Most people spend their lives trying to avoid salt. 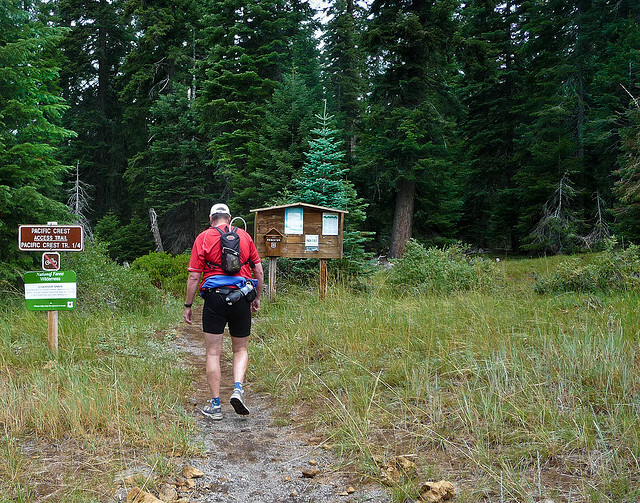 I have started bringing potato chips for a post run snack to the trailhead for my long runs. Another great post run snack is some blue corn chips with some hummus with some Hoisin sauce. Although it is neither here nor there, I’d like to state that I am a vegetarian (nearly vegan – if not for the occasional veggie pizza) as far as diet is concerned. I also find that I am more sensitive to heat, which is obviously related. 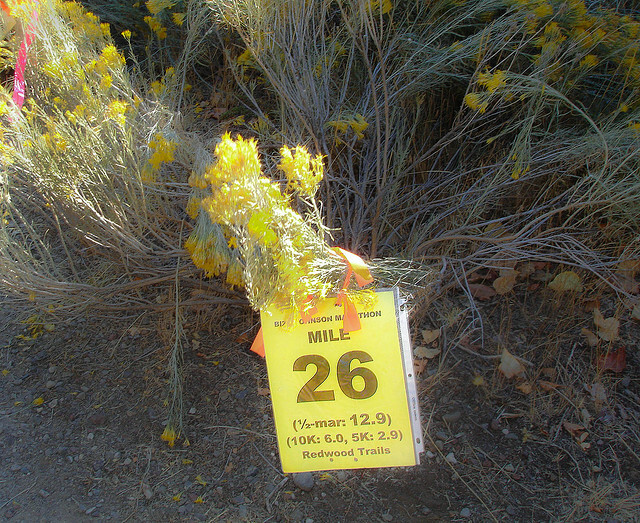 Last summer I would often start to feel pretty tired 17 miles into a 20 mile training run. In cool weather a 20 mile trail run is no problem. When I’m training for a 50K I basically try to do a 20 mile run every weekend. 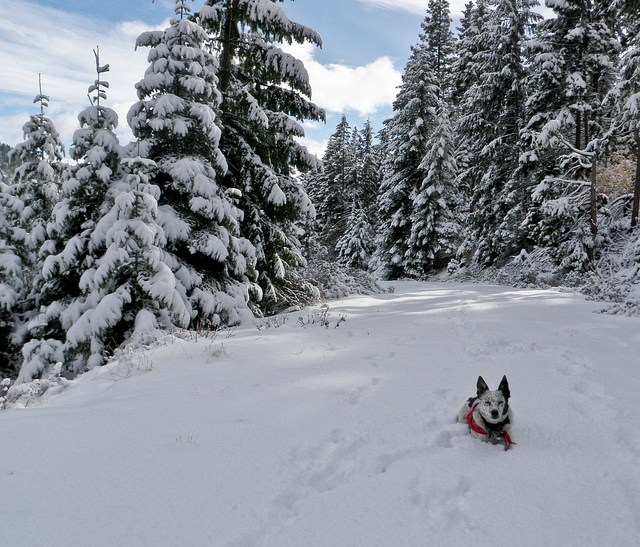 Fortunately I live in Klamath Falls, on the East side of the Cascades of Oregon, where we have relatively cold Winters and generally cool Spring and Autumn. Summer, obviously, can be pretty hot – but nothing like Southern California, Arizona, Mexico, the South, etc. 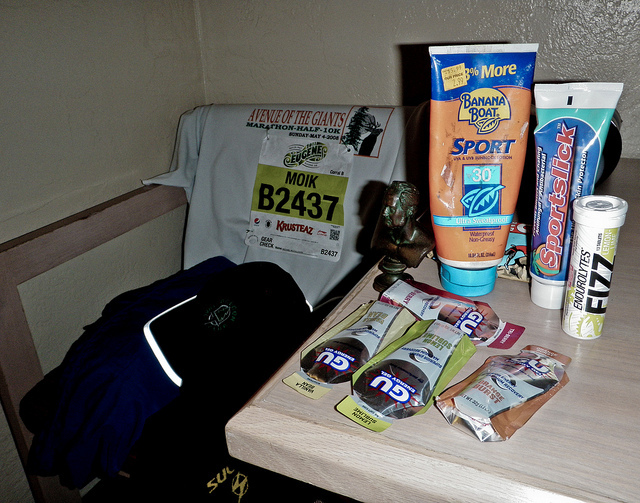 I have also noticed over the past several years that I did quite poorly during marathons if the weather got hot. The concept of hot weather is a relative term – for me anything over 70°F (21°C) would be considered hot. My ideal running weather would be 35 to 55°F. Ten years ago I could do a 20 mile run when it was 90°F (32°C) without much problem. Those days are over. I’d be interested in hearing from other people with atrial fibrillation with respect to this. Please comment. It turns out atrial fibrillation is pretty common in middle-aged endurance athletes. About a year ago, when I first went into persistent atrial fibrillation I was surprised to find out how common it was in athletes, but also surprised to find out there weren’t a lot of resources on the web. I am writing this blog in order to provide information about atrial fibrillation in athletes from an athlete’s point of view only. My purpose is not to give medical advice. I am a podiatrist employed at Klamath Orthopedics and Sports Medicine and my practice is limited to the treatment of the foot and ankle – not the heart. Cardiology is not in my scope of practice. Also – before you ask – I don’t plan to give podiatry advice in this blog, either. 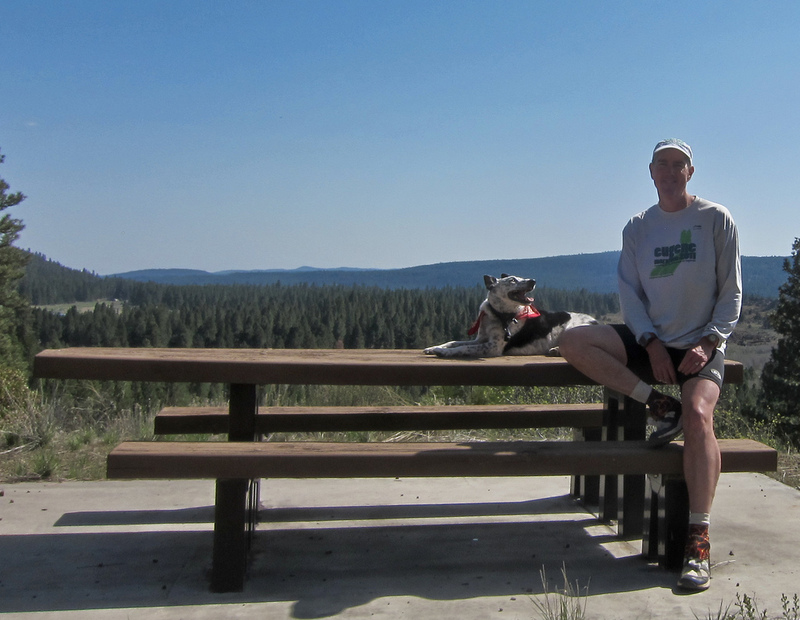 I’m a 53-year-old distance runner and mountain biker who is in persistent atrial fibrillation. Persistent atrial fibrillation means that I do not go in and out of atrial fibrillation, like some athletes, I am always in atrial fibrillation and I am not expected to ever be out of atrial fibrillation. I am more or less asymptomatic, except for palpitations and, of course, a slower pace, and do not take any specific treatment except for a blood thinner (Pradaxa). I continue to enjoy marathoning, trail running, mountain biking, hiking, and any other outdoor activity for that matter. 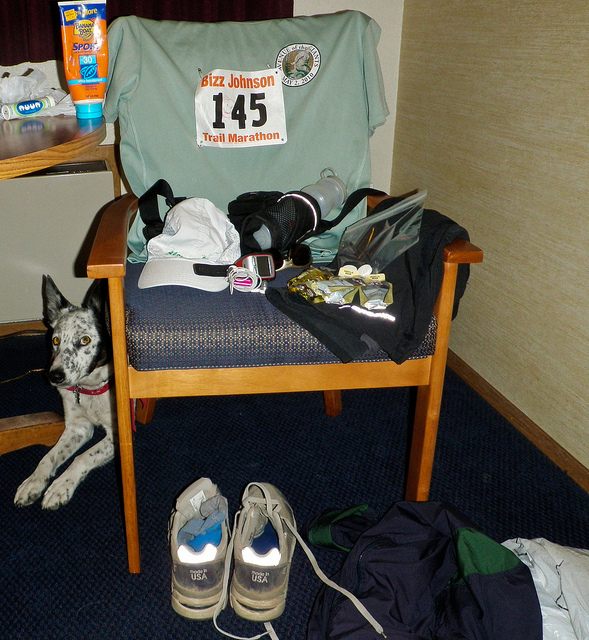 I am not sure how many marathons I have completed, but probably around fifteen. I have trained for two 50K runs, but was only able to run one of them. I was discouraged to participate in my first 50K by my electrophysiologist (more on that later). That was before he actually saw me as a patient. 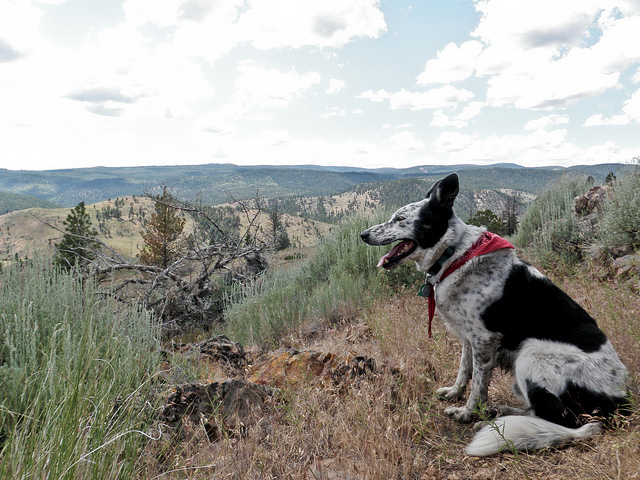 Peterson Ridge Rumble 20 and 40 Mile Trail Run – a great race that allows dogs. 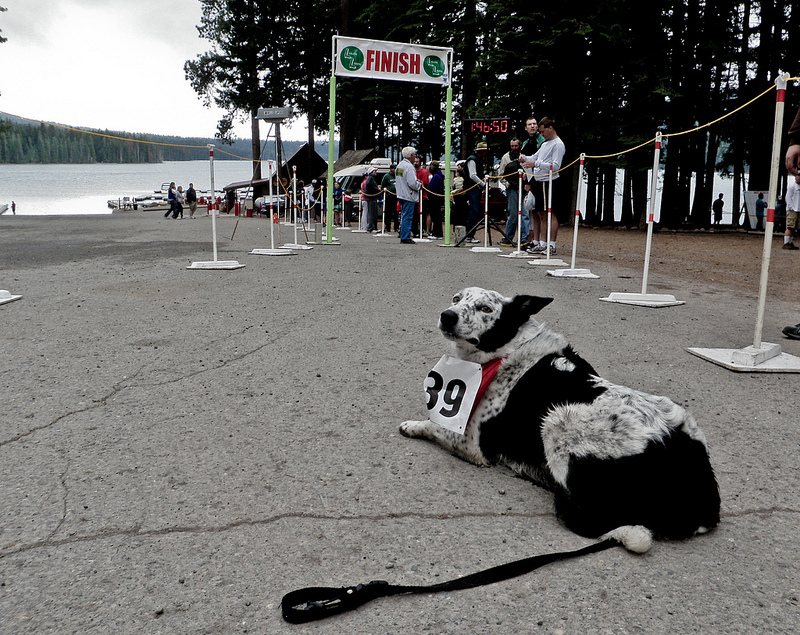 Here is my dog, Ringo, at the starting line. 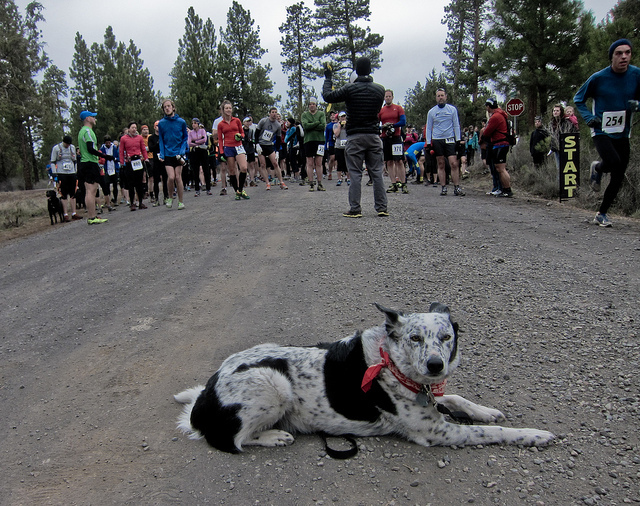 My most recent event was the Peterson Ridge Rumble, a 20 mile trail run in Sisters, Oregon. 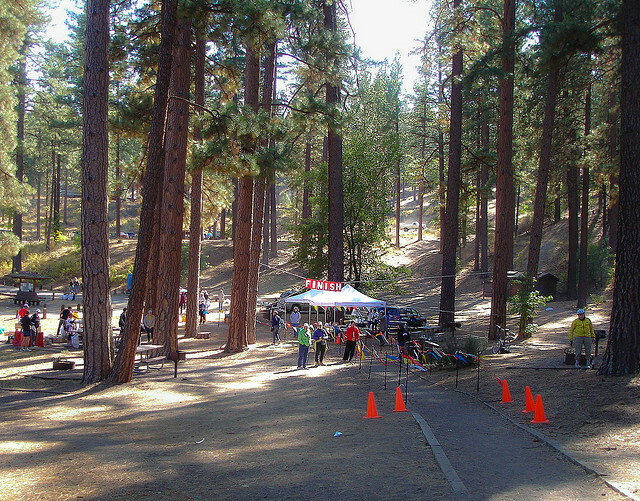 Upcoming events include Lake of the Woods 15K, Siskiyou Outback 15K, and then the Bizz Johnson 50K in October. I have done at least one marathon and one 50K while in atrial fibrillation, but I suspect that I have been in atrial fibrillation for at least one other previous marathon. It’s likely that I’ve been going in and out of atrial fibrillation for the past several years, and that explains a lot. In 1994 I had open heart surgery to repair my mitral valve. At that time I was mountain biking six days per week and had severe mitral valve regurgitation and severe left atrial hypertrophy and I had a repair – no artificial valve or a pig valve – I have all the original equipment. Unfortunately the left atrial hypertrophy never resolved and as a result I eventually ended up developing arrhythmias, including a lot of PVCs and PACs, and have ultimately go on into persistent atrial fibrillation. PVCs and PACs, otherwise known as premature ventricular contractions and premature atrial contractions, are generally benign, but quite annoying arrhythmias that everybody experiences from time to time. 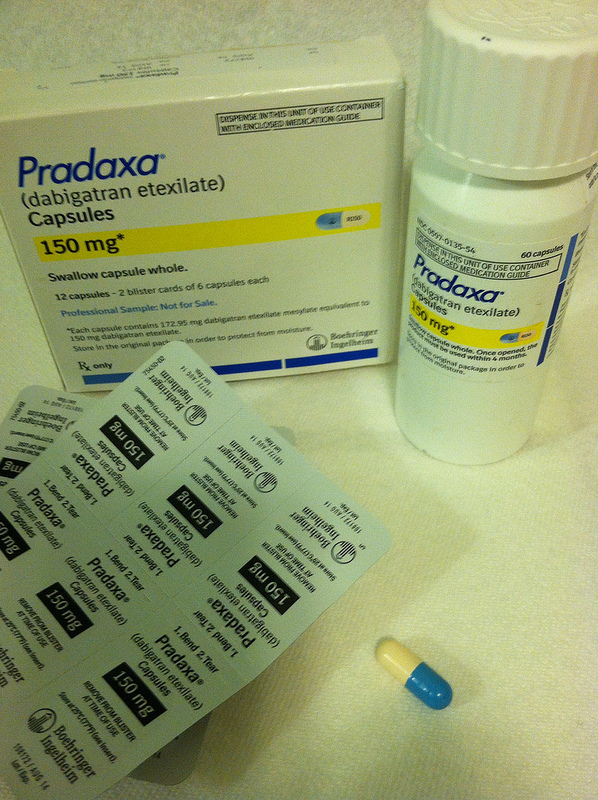 I am not happy (or proud) to be in atrial fibrillation, but this is what I have to deal with. I was told that in my specific case an ablation procedure would likely have less than 30% chance of being successful, and even if it were successful it would probably not be successful for more than five years. I was never a fast runner, even in my youth and I’ve always been a big, slow runner (6′ 3”, just under 200 pounds), but now I’m ridiculously slow. But running still brings me the same joy that it always has and I plan to continue. What Activities Are Safe While On Anticoagulants? Trail running and mountain biking or both activities which have a certain risk for bleeding, that is to say there is a risk of falling. Being a person who is not naturally graceful I do tend to trip and fall more often than I would like while trail running on technical terrain. I do a little bit better as far as mountain biking is concerned, mostly because I have so many years of experience. Mountain biking falls are of greater risk than running falls because, obviously, they can be higher velocity and are more likely to involve a head injury. Head injuries are what you’re really trying to avoid, basically. My cardiologists thought it would be a good idea if I discontinued mountain biking, and suggested that road biking would be all right. My opinion is that road biking has a much greater risk of a bleed because of the greater likelihood of crashing on pavement and/or being run over by a vehicle. All my best crashes have been on pavement. I don’t ride like that. 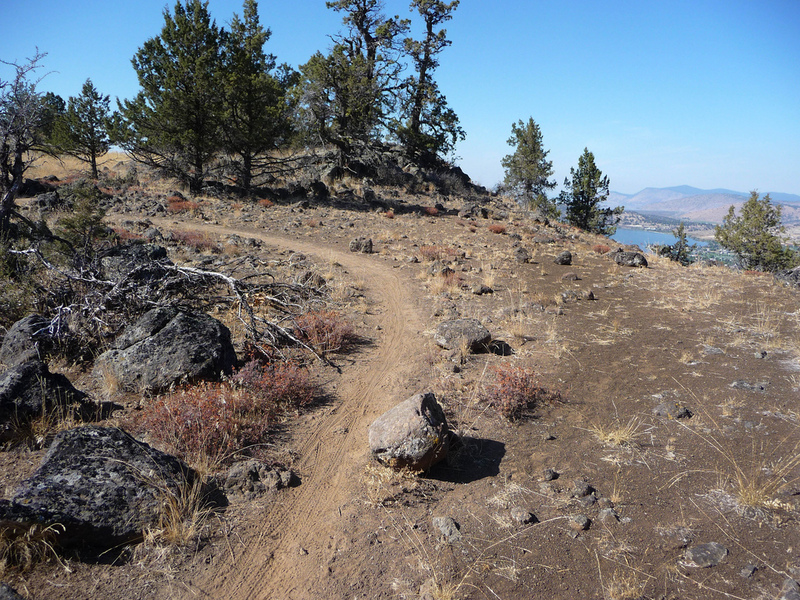 I have twenty-five years experience on the trails and am fairly cautious, especially since I started with anti-coagulation. Most of my crashes are low-impact and inconsequential. At this point in time there are a lot of trails I used to ride that I no longer ride because, frankly, they’re too dangerous. No photographer wants to take pictures of me riding my bike, simply because it isn’t very interesting, hence the “hospital air” photos in the mountain bike magazines. 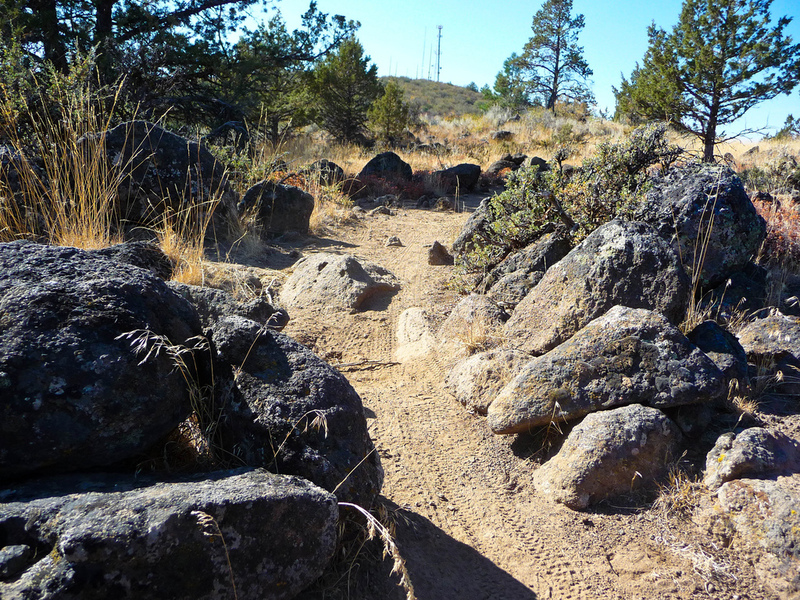 My gestures of appeasement to the gods of subdural hematomas include a new (brightly colored) helmet and a more cautious approach to going through rocky areas along trail. I walk my bike through things I never used to walk through. That’s just the way it is now. Also I have started to wear glasses while trail running – glasses for distance without the bifocal feature. I have decreased episodes of tripping and falling by over 90% because of this. I hadn’t even realized I needed glasses for trail running until I started using them. 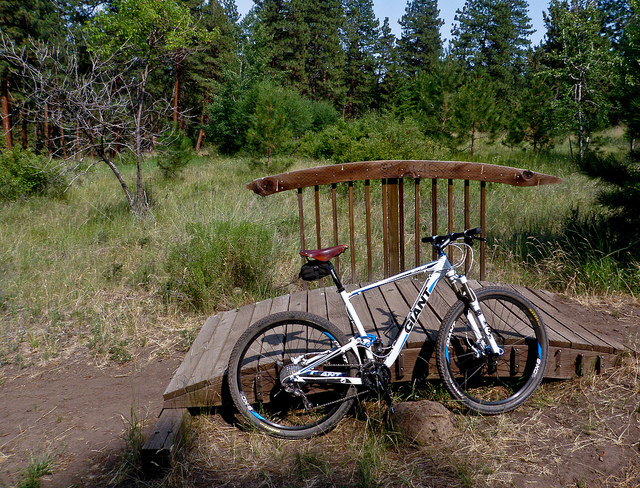 When my cardiologist first told me I should discontinue mountain biking I went online and found a lot of forums about mountain bikers who are on Coumadin. It turns out quite a few mountain bikers take Coumadin, but not because of atrial fibrillation – primarily for deep vein thrombosis (DVT) prophylaxis. Evidently deep vein thrombosis is common in athletes as well. Anyway, there are quite a few mountain bikers out there who do get hospital air and are still in anticoagulants. That’s their choice. I’m really not sure what sports are safe and what sports are unsafe on anti-coagulation. I would imagine that sports that involve being flung through the air down to the ground and then being stomped on by a 2000 pound animal – rodeo, for example – should be avoided. And obviously sports that involved impact such as football, hockey, or boxing, karate and other fighting sports would be things to avoid. I haven’t actually been in a fight since 1981, but it still makes me sad to think that I am now pretty much unable to get in a fight. Jousting is definitely a no no. Maybe soccer, rugby, or even baseball are sports that should be avoided. 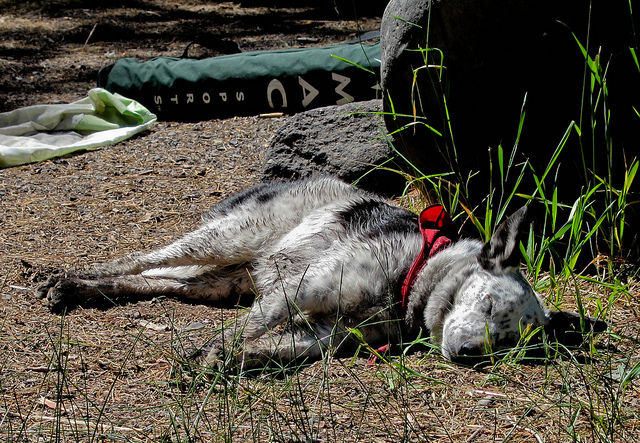 Running, swimming, kayaking, backpacking are all probably safe. Rock climbing – maybe not so safe. Motorcycle jumping definitely unsafe. I’m not sure about skiing. I am definitely not going to sign up for any of these new obstacle races that are becoming so popular. I just don’t think it’s safe for me.